Linkme-Up.Com is down for almost two days now. I have lost my links to my blogger friends who are non-mommies. So I decided to switch to manual linking for a permanent record. I can’t do my usual blog hopping if the linker is always down. To my blogger friends who are non-mommies, please leave your URL by commenting here. I will add you up manually as soon as I can. For everybody who wants to become my friend and to have exchange links with me, please post your URL also and tell me where should I link you up. 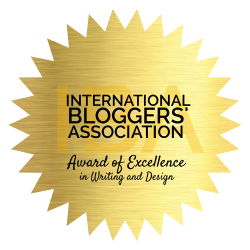 I have two blogrolls here; 1. Mommy Bloggers and 2. They Love My Blog (for non-mommies). Thank you for all you do for mommies everywhere!! Do tell po ha 🙂 Ingats! Hello Mommy Ruby, Ako Daddy and I add up already sali me sa link exchange ha! Hello friend, You create a nice blog… my blog..http://iearnmoneyhelper.blogspot.com/ Thanks for the comment in my blog. ya want to have some adsense tips? come to my site and take something helpful for ya free!!! Contact me.. I will show how to earn money with your blog.. I have some easy ideas… my mail is nanthan1983@gmail.com. I am earning more than 500$ per month. hi Mommy, na add na kita sa blog ko. dun ako sa no. 2, , “This is your money zone!”. Thanks! hi mommy ruby..am back here..been re-designing my page just recently..i’m inviting you to come and visit if u have time. Have a blessed weekend ahead and TC! Hi Ruby! You’re welcome, glad to be of help. 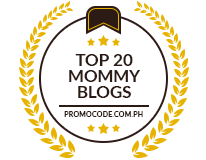 Kindly add my other blog moms….. check nyo, http://mlizcochico.blogspot.com. Thanks and have a great weekend. Hi! had added your site in my blogroll. Ex-link tayo ha! Hello, I would love to exchange links. Welcome to Bisdak Planet!